I wanted to post something since it is now December, and I see that I haven't posted anything since July. We moved to a new home in March and, as a result, have been very busy... First of all, we didn't move well. In fact, we did pretty much everything in the worse way possible. 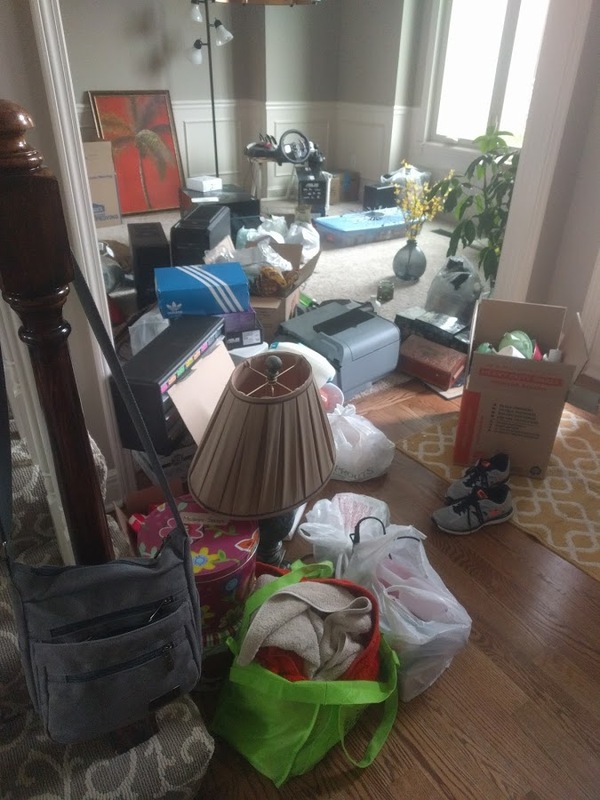 We didn't pack everything in boxes, for one. 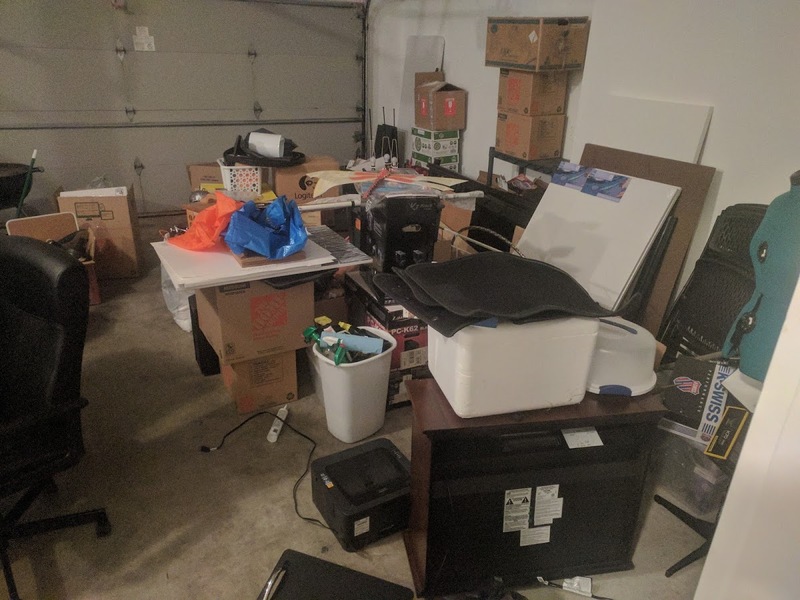 We hired movers to move our "large items" only, thinking we would be fine moving everything else. The price was hourly, minimum 4 hours. They moved everything into the truck in under 1, and we scrambled to find other things they could stuff into the truck after realizing how stupid we were. The end result was countless hours and dozens of trips back and forth moving car loads of items at a time. The only thing that saved our sanity in the end was the fact that our old house was only a 10 minute drive from the new. 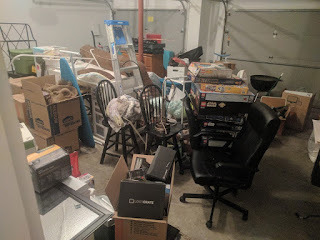 My husband and his parents did most of it because I was still going to work every night during the first half of our move. That was another mistake considering the fact that most of the items were not boxed by any sort of category. Everything was shoved into the garage, basement, or dining room. Kitchen items were buried in unlabeled boxes. The shower curtains and bed sheets I had laid out specifically for the guest bedroom and bathroom were MIA. My husband and in-laws had to make a special trip to Target later that night for various necessities. This all happened while I was working night shift. I was unable to take off that first night, but the next day, I extended my requested time off to an entire week (I really needed an entire month). Remember, this was all happening in March. There was no possible way to get our cars into the garage, and sooner rather than later, it was going to storm. In the Midwest, storms mean hail and damaging winds -- not necessarily a tornado, but that had happened not 50 miles northwest of us the week before. So, we had to prioritize getting our cars into the garage. That meant everything became even more compressed together than it already was. More stacking. I didn't find all my kitchen supplies for over a month. We ate so much fast food I wanted to vomit. Every muscle in our bodies was sore. 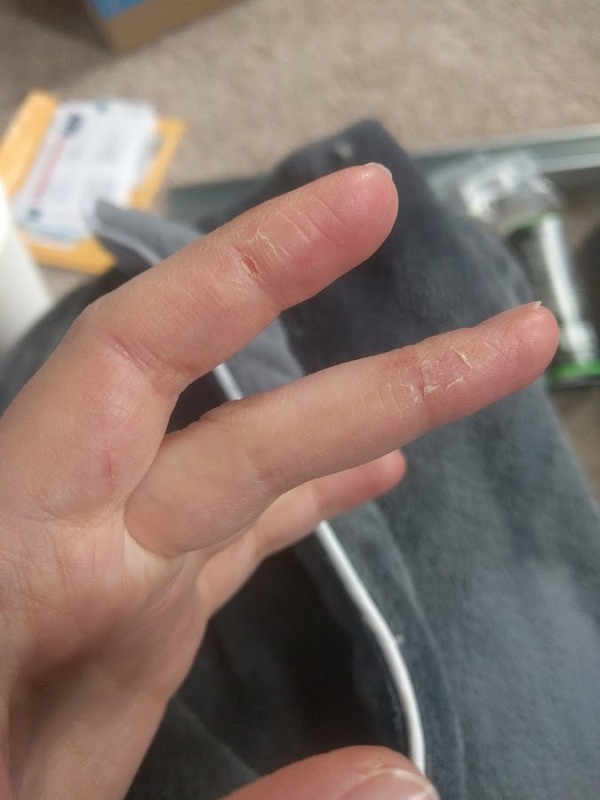 Our hands were covered in cuts and blisters. During all of this, we ran into a number of problems that just added to our misery. The problems with the house itself began before we even started the move. In fact, it started on closing day, the first time we entered as the homeowners. Needless to say, we were both very excited to have a new house -- still oblivious to the back breaking labor that was soon to follow. We were running around making plans of what rooms should be used for what and where the larger items we own should be placed (our pinball machine, for example) when I noticed a strange bundle of fur hanging from one of the stairs. 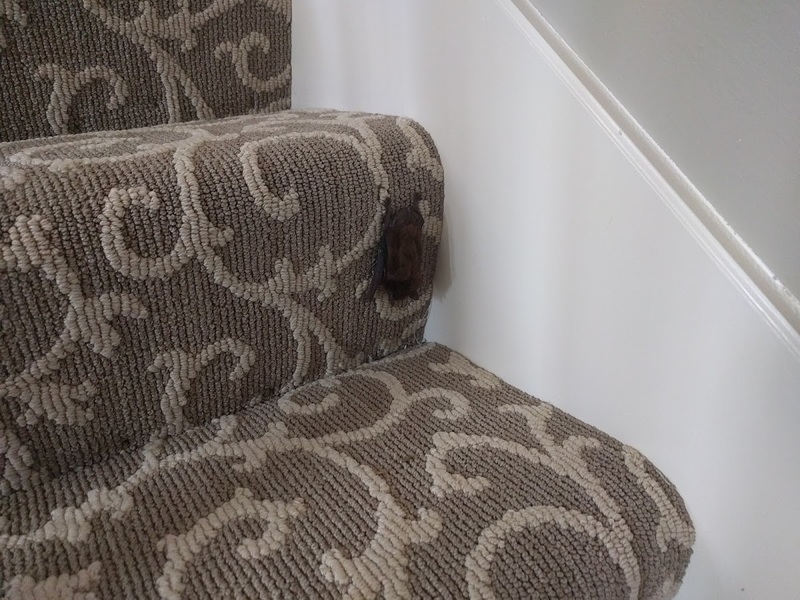 What do you do whenever you find a bat in your home? I personally wouldn't kill the poor thing, but just so you know, it's actually illegal. Bats are endangered. They also carry a variety of nasty diseases. We went to Home Depot and bought a pair of leather gloves (because we had no idea where ours were at the time). We needed leather because bats can bite through other kinds of gloves. We then threw a towel over the thing, scooped it up, and deposited it outside. Yeah right. It sooo did not go down like that. 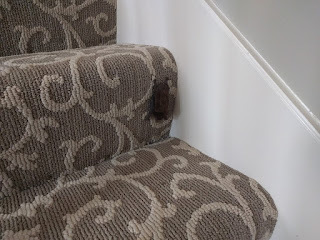 There is a video of the bat flying back and forth, me screaming and ducking for cover, and my husband running around trying to capture it in a towel any time it landed. We did eventually get it out, but it was quite the ordeal. You may be wondering how it got into the house in the first place. Honestly, we didn't have much time to ponder theories. We were preoccupied with the chaos of the move. We had to figure out a way to get our cars into the garage. Besides, it wasn't long after that we realized the garage door mechanism was faulty, and we needed to call a repair technician. 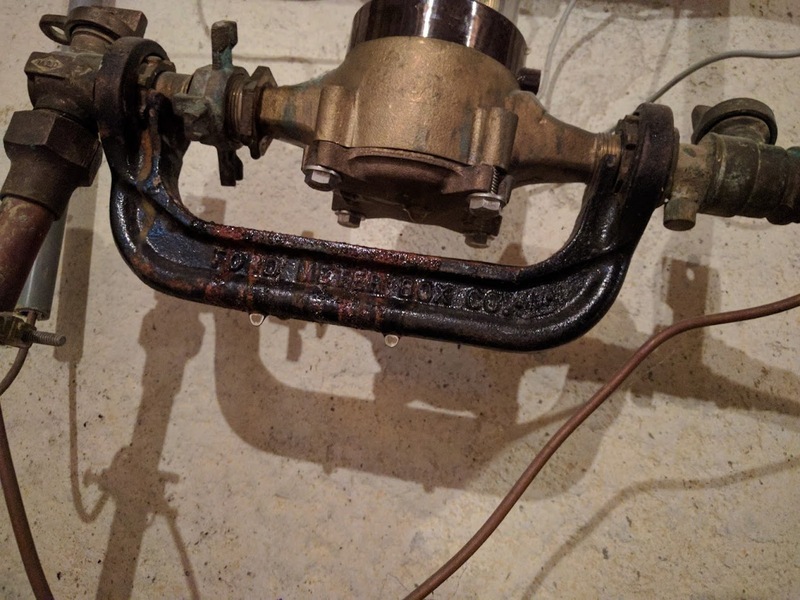 That was our first clue that the beautiful home we had just purchased had a questionable past. The garage door opener was literally falling off the ceiling, and under the plastic cover, it looked like the thing had caught fire once upon a time... We did eventually get it repaired and our cars safely in the garage. None too soon as it hailed the following week. I am seriously considering not hiring a home inspector next time we move. It cost us $500, and we ended up spending that in repairs he missed anyway. NO WORRIES! We have a home warranty through A. B. May! If they can get out of helping you, they certainly will. In this case, the broken valves weren't covered because they were broken before and not a newly broken item. The warranty doesn't cover existing problems, just new ones. Ok, you're thinking, why not just say it broke whenever we turned it on? Very true. It wasn't a preexisting thing then. However, the main problem with A. B. May is that you must use their technicians, and they will charge you much more than something actually costs to fix. 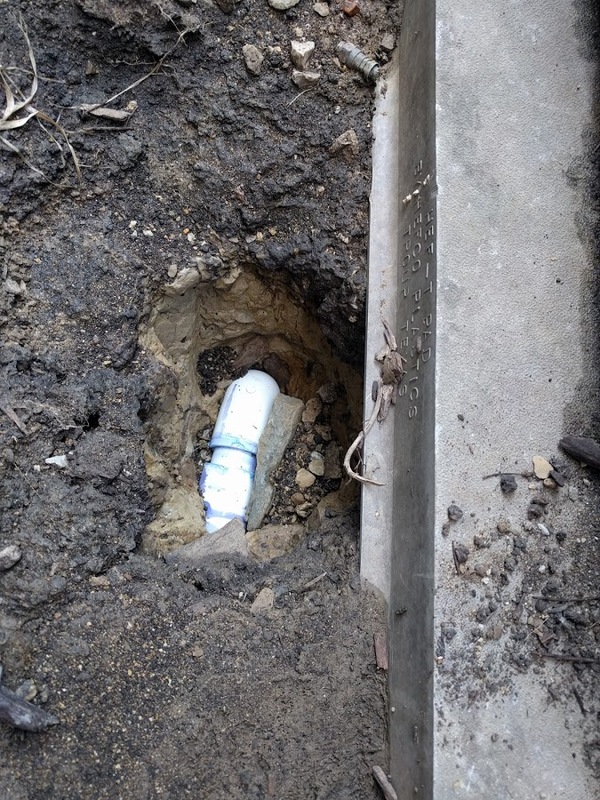 For example, this repair job, they said, would cost $800, and our deductible was $500. So, home warranty or no, it was going to cost $300 to get a working washing machine. We ended up saying to hell with them and calling around for quotes. 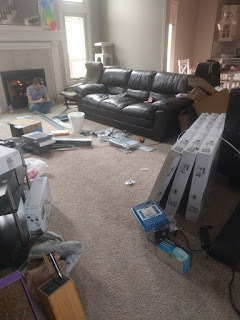 This was very stressful considering it was all happening in the middle of moving in, but in the end, we were able to get the valves repaired for only $200. 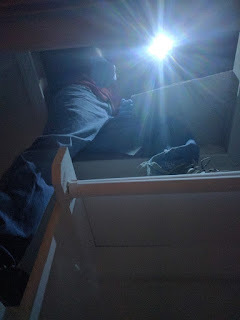 It wasn't long after we moved in that my husband discovered the source of our bat -- the attic. He was running cables and found what looked like mouse poop all over the insulation in the attic. Upon further investigation, however, he found more flying rodents instead. 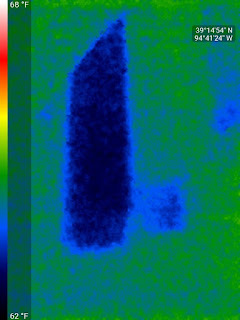 You see why I don't want to hire a home inspector again? Our inspector went into the attic and found what he called "bird poop". 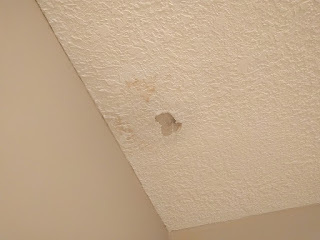 This led to the discovery of a hole in the roof that we requested be repaired prior to our purchasing of the home. Now, bird poop looks nothing like bat poop. Bats are also not birds. 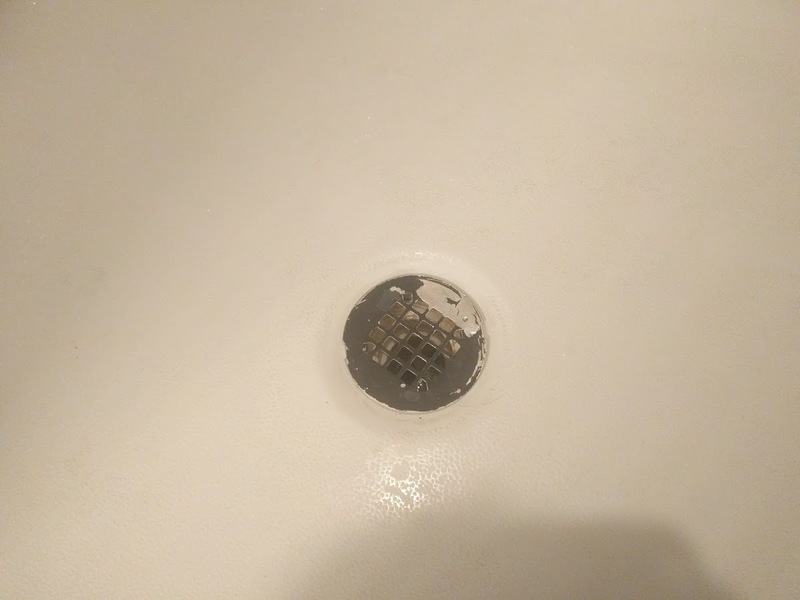 This in addition to the washing machine hook-ups is why I requested a refund for our inspection. The contract said we could request a refund within 60 days. It hadn't even been 10 days. We never got a refund. It's not so much that we are downhill as it is our grading around the house is terrible. Someone is actually going to be fixing this next week finally (9 months later). On a positive note, the basement held up very well despite all the water pooling up around the house during this exceptionally rainy year. We want to eventually finish the basement, but the grading needs fixed first. 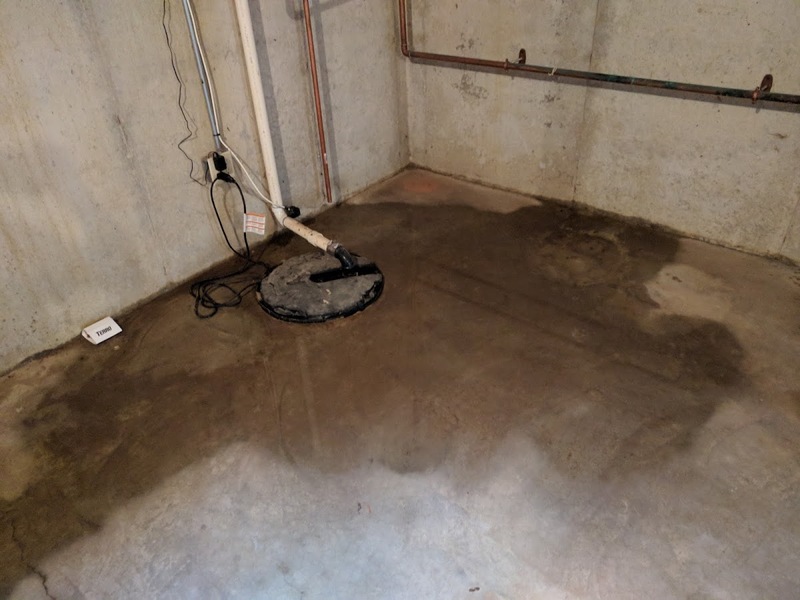 Our basement has a sump pump, but it couldn't keep up. Side Note: We refinished the deck, and that is why all that stuff is sitting on the ground in that first photo. Looks pretty trashy, I know. The deck looks really nice now though, but again, that wasn't accomplished without considerable challenge. The previous owners had used multiple coats of multiple different stains, and after attempting to strip the deck twice, we ended up sanding each board clean. One nice thing about our house is that there is an in-ground sprinkler system. 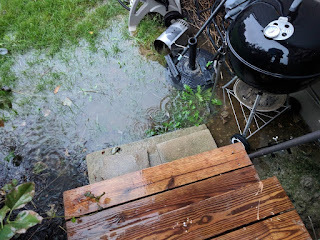 Unfortunately, the pipes were not drained last year and we had to call someone to come out and fix the leaking pipe in the basement and the burst pipe in the yard that actually dug itself up with the pressure of the water blasting out. And it wasn't only below ground that was a problem. Despite fixing that hole in the roof, we still sprung a leak. Whoever did the "new" roof was an idiot. 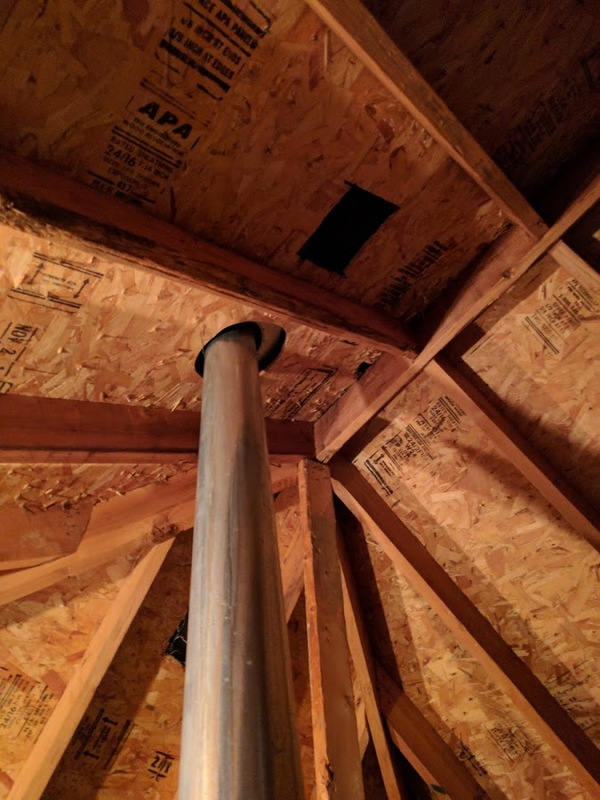 Two pipes on the roof were missing rings that prevent water from passing through into the attic. 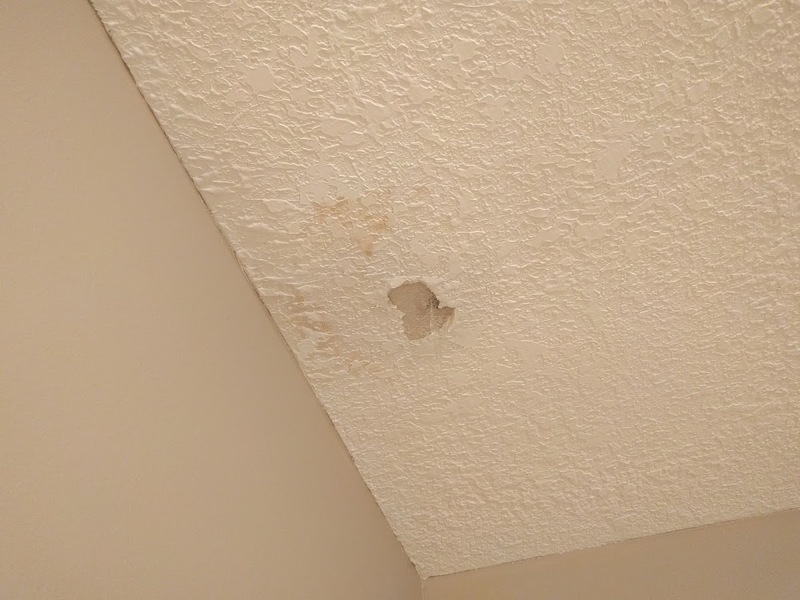 As a result, we now have a lovely hole in our ceiling above the tub in the guest bathroom. I guess we are lucky that it happened over the tub because it took quite a while to get someone to come out and find/fix the problem. 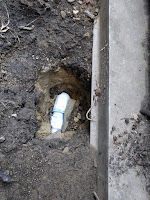 All the water related problems have been repaired (except the grading around the house, which will be done next week). They all stemmed from negligence and neglect. The people we bought the house from never lived here. They bought it as a foreclosure and fixed it up for selling, taking shortcuts along the way -- like spray painting a couple of our master bathroom fixtures to look like oil rubbed bronze. Almost all the fixtures in the house are oil rubbed bronze, but it's like they ran out of money whenever they got to our master bathroom. 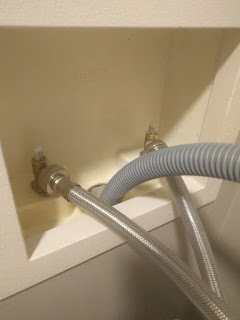 The shower faucet and drain were spray painted and started to peel after we began using the shower. The people that owned the house prior to that were terrible. According to our neighbors (which are excellent, by the way), the previous owners had to foreclose after the son got into drugs and the father into alcohol. I imagine the house must have been pretty trashed too considering that every single room has been repainted, all the counters redone, and all the hardware/lights/doors replaced. The back yard was so grown up that the people behind us couldn't even see the house at one point (not that I would have necessarily minded that; I feel like we need more trees myself). 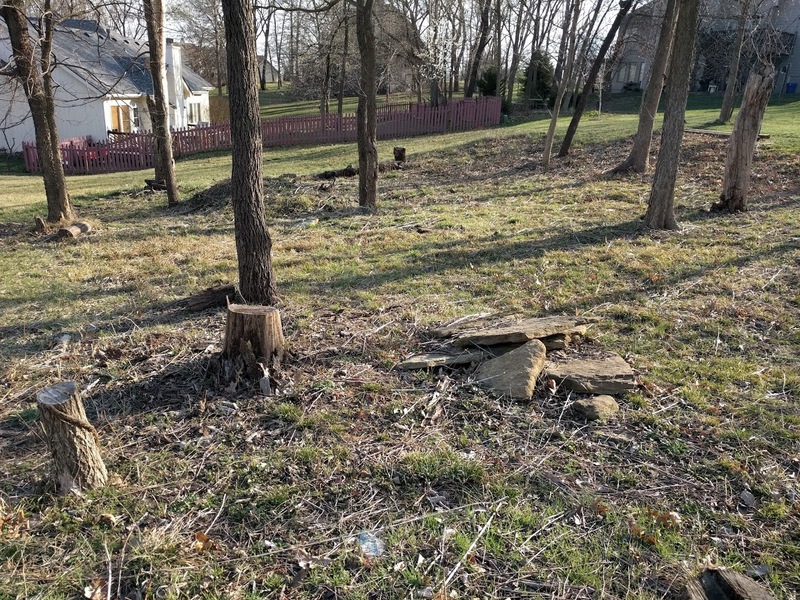 The buyers of the foreclosure mowed down the overgrowth and cut down a number of trees for whatever reason. 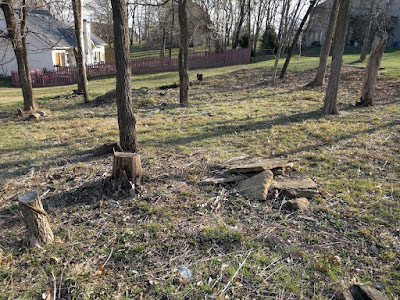 Perhaps they were dead, but the main problem is they didn't remove the stumps or any of the excess brush. We had to take care of that. All in all, we have accomplished quite a bit this year. We overcame a variety of problems and made this house our home. There is still a lot to be done, but it doesn't feel so overwhelming now. Now, it just feels a bit cold.